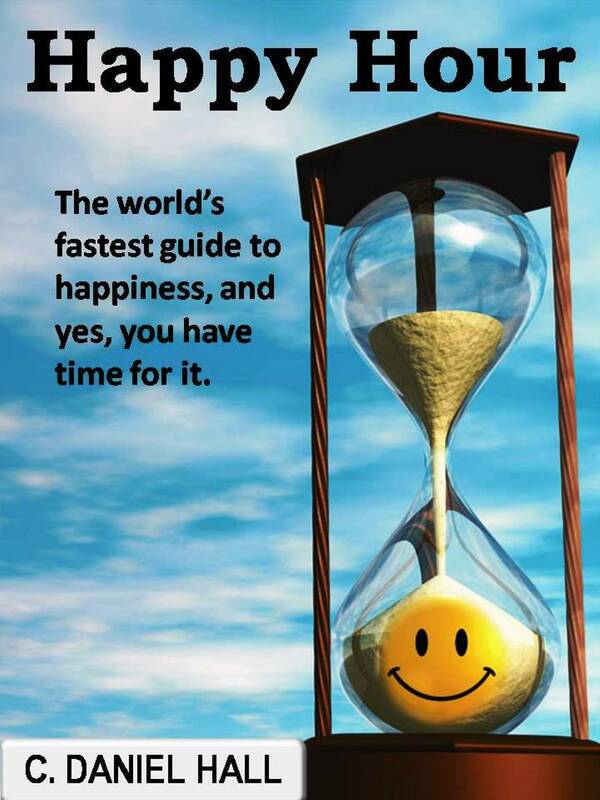 Happy Hour, the world’s fastest happiness eBook, now available exclusively on Kindle at Amazon. FREE copy available before Friday, January 10th. Click here or search “Happy Hour by C. Daniel Hall” at Amazon. Auckland, New Zealand – Author C. Daniel Hall and Sweet Az Studios announce the release of Happy Hour , the world’s fastest guide to happiness, and yes, you have time for it. In just 60 minutes, Happy Hour gives you clear, nuts and bolts answers to true happiness. You’ve probably heard that life is a blank canvas and you can paint anything you want on it. In reality, this is backwards. Life is not the canvas, you are, and everybody paints on your canvas. Problem is, you are a Rembrandt and they are graffiti artists. We live in a busy world with little time left for ourselves. And yet, happiness seems to be a mysterious and elusive phantom. Happy Hour is your cut to the chase, rapid guide to discovering true happiness. You can be happy right now, and Happy Hour will show you how. Rashel Rey, President of Sweet Az Studios says, “Even after the holidays, many people remain unhappy and don’t know why. They’re looking for answers and Happy Hour reveals steps anyone can follow to be happy now. There is no key to happiness, it’s not locked, but it sure does help to have a guide"
Sweet Az Studios is based in Auckland, New Zealand and is dedicated to bringing you award winning, heart-centered books, films, and online multimedia content.